Valeryan is an award winning singer songwriter and TV personality. She began singing pre-teens and when she was 16 WON the forerunner to all TV music competitions Opportunity Knocks”. Her prize a contract with Decca – a major force in the 60s. The result was a HIT with the English language version of Plaisir d’Amour “My Love Loves Me”. “I was too young for the high life” says Valeryan, and returned to singing in the folk clubs. TV offers followed and when 19 Val landed a residency in Max Boyce’s BBC 2 series Poems and Pints, plus panto with Harry Worth. Valeryan then joined the top pop-folk group “The Settlers” – remember Lightning Tree the theme music of Yorkshire TVs Follyfoot Farm? Following The Settlers, Valeryan spent many years playing clubs around the world. Whilst with The Settlers Valeryan met Pete Goodall, their producer and arranger. Several years later Valeryan began writing and recording her own material – again produced by Pete. There are several albums and Eps of Valeryan on all major download and streaming stores globally. Valeryan has extended and diversified her range of styles from traditional folk to folk-blues, folk-rock and even a touch of jazz! As The Nights Draw In is a spooky song for Hallow’een …….. or any other time of year. 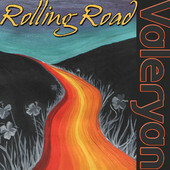 Valeryan is back with her album Rolling Road. The lead singer with The Settlers and the young girl who brought the English language version of Plaisir d’Amour (My Love Loves Me) to the singles charts after winning Opportunity Knocks has written a beautiful come back album. The album went live on 23rd September 2012 and features nine original songs along with an updated cover of Bob Lind’s Drifter’s Sunrise a song she first recorded on Decca while still at school -just a few years ago! 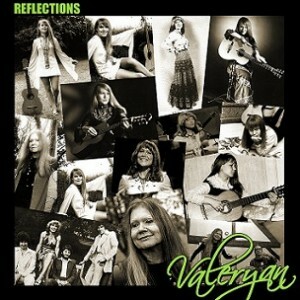 The album crafted by Valeryan and music partner THUNDERCLAP captures her return to music and has already made ripples in the folk music scene, turning heads with her acoustic cover of Fairport Convention vocalist: Sandy Denny’s “Who Knows Where the Time Goes” which has already been released on ITunes on the record label Speakeasy Recordings. The album has gained a lot of interest and has received a number of compliments from radio presenters. Valeryan broadcast 28 interviews in the 6 weeks from October to December 2011, in which “Who Knows Where the Time Goes” has been featured. Pete and Valeryan have also performed live acoustic sets on BBC Radio East at Cambridge, BBC Radio South at Tunbridge Wells and BBC Radio Hereford and Worcester at Hereford. “Moving Shadows” – the next single released in advance of the album speculates middle of the night ideas, questioning the difference between life and dreams; “Twelfth Night” a classical jazz track connects the Shakespearian play with a very special relationship in her life, quoting the music business as “smoke screen mirror illusion”, and “Mary Mary Mary” a traditional and stylish song tells of an interesting visit to a fortune teller with even more interesting results. 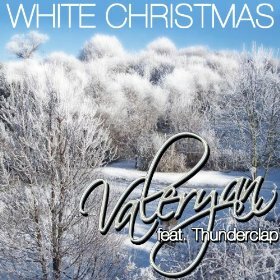 WHITE CHRISTMAS …….Valeryan’s brilliant festive set of twelve beautifully crafted well known Christmas songs, accompanied by and featuring her producer Thunderclap on guitars and Portugese Guitarra. This is the perfect Christmas album to play when you’re opening presents, dressing the tree, preparing Christmas dinner and all things Christmassy……..a real “Gary Chrimble” album as John Lennon was heard to say on more than one suitable occasion. Have a look at the track listings and listen to the album teasers……..
Valeryan found her incredible versatile musical talents at an early age and at 11 and won a singing scholarship to Trinity College of Music in London. As a dare, she auditioned for and sang on Hughie Green’s “Opportunity Knocks” – the equivalent of today’s XFactor. After winning her televised heat she was offered a Decca recording contract. This resulted at the tender age of 15 in her self-penned English version of the French hit Plaisir d’Amour entitled My Love Loves Me. This is (as at October 2013) being re-mastered and released on Valeryan’s forthcoming album “Something Old Something New” featuring many of her songs from her back catalog as well as newly recorded material……. Since then she worked in a variety of folk clubs, and after graduating from London University with a Ph.D. in Zoology, went into show-business for real. She travelled around the country with her cabaret folk act but soon after joined The Settlers (****link to above) where she first met and worked with Pete Goodall. In her own right she also appeared on the BBC 2 series “Poems & Pints” with Max Boyce, and was no stranger to BBC Radio 2’s Folk Scene having appeared no less then 6 times, and built up a firm friendship with musician and presenter the late Wally Whyton. Reaction John Cavanagh – Radio Six International. Valeryan’s version of the Sandy Denny song is lovely. I’ll be giving it a play alright. Is this album she’s made a new project of one of those interesting things which has been languishing in the archives? All good wishes, J.C. Radio Six International. 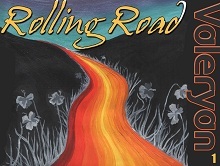 The album Rolling Road was recorded during 2011 at our studios in Hereford. You can find out more about Valeryan by visiting her website, please click on the logo.